That’s the word I would use to describe Saturday and Sunday. Anyway, when I got to the convention center I grabbed a sandwich from the Prudential Center’s food court and then immediately booked it to Panel A for my Persona 4 panel. I’ll go into detail in terms of what went on at the panel in a separate blog post but let’s just say a smaller room would’ve been better. I was expecting a smaller room than the one I got for this panel but since it was a replacement panel, it was out of my hands. After the panel ended, I racked up villagers in my Bravely Default Demo on my Blue 3DS (I have the full game on my Red one) in preparation for when I get the full game on Friday from the eShop. I then headed home and got to Cleary Square just before the MBTA shut down (LOL!). Yes, Nagisa Furukawa was my co-panelist this year. For the details on how I pulled it off, you’ll have to wait for the recap blog either tonight or Thursday evening. After my Clannad blog, I booked it to The Dealers’ Room where I picked up the first four volumes of Blue Exorcist as well as Volume 1 of the spinoff Manga Attack of Titan Junior High, which is a spinoff of the international smash hit Attack on Titan. I also got a Yukiko Amagi (Persona 4) and a Kirito (Sword Art Online) plushie. I go them from two different vendors but in both cases they were the last ones left. After that I bought Fate/Zero DVD set, which is an Anime I saw bits and pieces of on Neon Alley recently. I then booked it over to room Panel C to prepare for my second panel of the day. When I arrived, I was blown away to see the HUGE line outside the door that snaked down the hall. Of course, Court Records: Ace Attorney was Sunday’s main event in more ways than one. The first two sections of the room were filled and like last year, the Cosplayers came in force. Even though it was 90 minutes it was just barely enough to do everything. Come next year I’ll be looking to outdo myself for the third year in a row. After the panel ended I went back to The Dealers’ Room where I picked up Attack on Titan: Before the Fall, a prequel to Attack on Titan that takes place 100 years before the start of the original series. I then went to Closing Ceremonies where I racked up so many Streetpasses on both of my 3DS consoles I’m surprised they didn’t break (LOL!). It was announced that the theme for Anime Boston 2015 will be Manju vs. Mecha and that it will be April 3-5, 2015. All in all, it was an awesome weekend. I eagerly look forward to doing it again next year. I’ll even tell you a full year in advance which panels I will be doing at AB2015 and which ones I will not. Pending approval, of course. Clannad: The Place Where Wishes Come True WILL be back next year. Also, Nagisa will be my copanelist from now on each year I do this panel. It will also be 90 minutes next year because of some extra content I’m bringing next year including some special videos that I promise will leave none unmoved. Court Records: Ace Attorney will NOT be back next year since I want to make room for following panel. It will be back at AB2016 though. Pokemon: 20 Years Later is the special 2-hour panel I will be doing next year. I’m pulling out all the stops to make it the most must-see panel of AB2015. There will be music from the soundtracks of each gen, The PokeRap, Battles (Gens 5 and 6), Trades (Gens 5 and 6), a viewing of the very first episode of Pokemon: Indigo League and a special viewing of a scene from the world famous banned Electric Soldier Porygon episode! It will be the biggest panel I will have ever done. Bring your own 3DS! Tales of Symphonia: 10 Years Later is the panel I was supposed to do this year but didn’t due to my busy work schedule during the last 4 months. We will discuss the fandom, the game, the anime and so on. I will request 60 minutes for what is sure to be an interesting introspective into Tales of Symphonia. Persona 4: Pursuing My True Self WILL be back next year. It will be 60 minutes long just like this year but there will be a bit more of a focus on the Psychology of the Persona. Video clips will return but I will use different clips from the ones I used this year. So to recap there will be two returning panels, two special panels and a workshop for next year. Man, it’s going to be AWESOME next year! 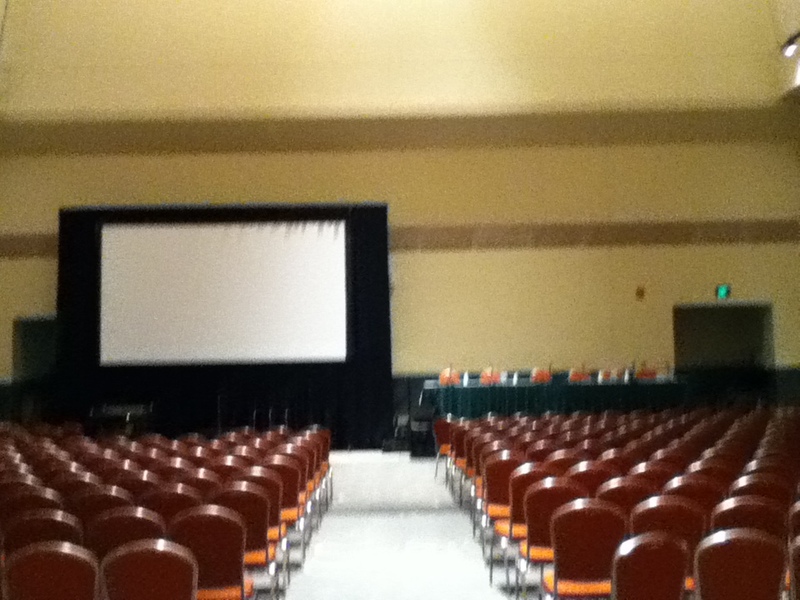 For those of you who I’ve talked to about Anime Boston but would like to know more about it, please go here. As I said on Facebook in recent weeks, this year I will be staying at the Sheraton Hotel (also a partner of the convention), which is next to the Hynes Convention Center where Anime Boston takes place. For those who don’t understand why over 20,000 people come to Anime Boston every year, the convention adds $18 milllion to the city’s economy. We’re talking programming, shopping, restaurants, hotels and so on. 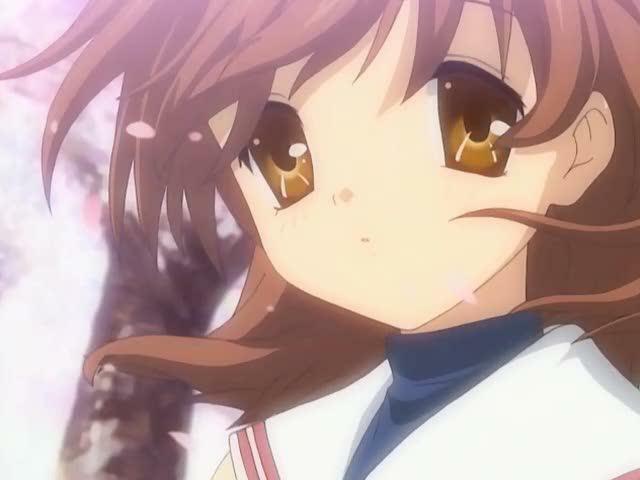 Clannad: The Place Where Wishes Come True will be on Sunday, March 23 at 10:30PM in room 206. Court Records: Ace Attorney will be on Sunday, March 23 at 12:30PM in room Panel C (3rd Floor). I’ll speak more to the panels themselves on my Anime and Video Game Blogs respectively but I am excited! I was literally able to update the Power Points in just two hours. I will also be staying at the Sheraton Hotel this year from Thursday to Sunday next week. While traditionally, I would only run into problems when it came to being at the Con late Saturday night I decided to just stay the whole weekend since I have Friday off from work anyway. As of today, Panel Application sbumissions are officially CLOSED. Clannad: The Place Where Wishes Come True: It’s returning for the third year in a row. If you want to see highlights from what I did last year, someone uploaded it on You Tube. Anyway, Clannad is one of my two favorite Anime of all time. The rustic, slow-paced settings and emotionally sensitive characters are relatable and lovable. The biggest thing I love about it is the life lessons one can draw from virtually every episode of this Anime. I skipped on doing this last year but this year I’m going to play some clips from the Anime. I have the DVD sets so…yeah. Assuming it gets approved and slotted, this panel will be Saturday night from 8:00PM to 9:00PM. Court Records: Ace Attorney: This panel made its debut last year. Easily the most popular panel of the day. Don’t believe me? I shot this video clip moments before the panel started. I walked in the door 5 minutes before I shot that footage. Every seat was filled. When I started it was standing room only. Everything folks loved about the panel last year will be back this year. I’ve requested an extra 30 minutes so that I can dedicate a full half hour to the trial. I will also play 20 minutes from the Ace Attorney Movie. It will be EPIC. Assuming it gets approved and slotted, this panel will be Friday afternoon or Sunday morning. Persona 4: Pursuing My True Self: A new panel I am doing, this one is about the video game Persona 4 and the Anime adaptation of it. I will play clips from the Anime during the panel seeing as I have it in both Blu Ray and a digital copy from iTunes. I will also spend a bit of time talking about the phychiatry of Persona, which will be very interesting for those who see it live. My intent is do do this panel Sunday mid-morning assuming it’s approved. Fire Emblem Awkening: Time Paradox: Looking back at it now I am considering scrapping this panel in favor of just doing the other four panels. I have drawn up my plans for this panel and so far what I have in mind will barely take up 20 minutes. The Panel Selection process has only just begun so I will have to wait until I know if this panel’s been chosen for sure to decide if I still want to do it or not. I know I’ve definitely changed my mind about doing it but as I just said, if it doesn’t get approved I’ll be happy with that. Pending approval this panel is slotted for sometime on Friday. Tales of Symphonia: 10 Years Later: For most, this was their first Tales of Game. Even 10 years later it’s the most popular Tales of game by a large margin. The game is being re-released with its sequel Tales of Symphonia: Dawn of the New World (originally released on the Nintendo Wii) on the Playstation 3 next month as part of a set called Tales of Symphonia Chronicles ($40). This is a panel for the fans but to make this panel extra special, I am giving away two copies of Tales of Symphonia Chronicles at the panel. Assuming it’s approved and slotted, of course. I have a rough outline for the three new panels drawn already but I will do the powerpoints in full during February Break. I can only hope I will find out which of my panels were slotted by the end of February. As I mentioned above, I’ve changed my mind about doing the Fire Emblem panel. I don’t have enough material to fill the requested time and I’d rather not stretch things out like I did with my Fan Fiction panel last year. Speaking of which, notice it’s not listed above. Everyone found it informaative and helpful but for me, it was mentally taxing doing that panel for 90 minutes by myself. It just kept going on and on. I will not do it again unless I have a copanelist or two. Unless your name is Johnny Bosch Young, Luci Christain or Vic Magnoiga don’t expect agencies and companies to fall over themselves in a bid to contract your skills. Contrary to popular belief, Voice Actors havre it tougher than Live Actors. While VAs have the benefit of not having to play to a camera you usually have several people being called in to audition for a single character. If they like you, you’ll get called in for a followup rehearsal and so on. Also unlike live actors, most VAs are not as well known aside from the three I named as well as possibly Sean Schimmel (Goku’s English VA) and Tom Wayland. Bottom line if you wanna be a Voice Actor: Don’t quit your day job. If you don’t have a day job, get one. Second, build a rep via social media and You Tube. Audacity and a mic are all you need to get started. Type a few lines a few lines and record yourself reading them. Keep the recording to 2 minutes max. If people like it, they’ll ask for more, etc. Don’t expect overnight success. People are rarely THAT lucky. Try recording yourself as different characters. If someone from the industry likes what they hear they’ll be in touch. If you want to be a Voice Actor, you need to be willing to commit the time and effort to make it happen. There are many, MANY Fandubs out there if you want a few examples. Some without official dubs but most from stuff that was never dubbed. Surf the internet. See if there are casting calls for Fanmade Radio Shows. Tales of the Abridged and Yugioh: The Abridged Series are two such examples. I think I might have said this before some years ago on the original SA.net but when I have the time to do it, I’m going to do Audio Books of some of my Original Stories as well as some of my Fanfics. With the Fanfics, I won’t go out of my way to try to sound like the official English dub. I won’t try to ham the lines either, though. My plate’s pretty full right now so unfortunately I must say it might be some time before I can commit the time to do it. You’ve all probably seen my You Tube videos so you how my voice usually sounds. I will make the conscientious effort to review twice and if necessary, record again if my voice comes out odd for one reason or another. I will also not record when I know I havy a stuffy nose. Despite finding out the hard way the limits of my iPod’s video recording capabilities with the apps I have, I will be recording with it a bit more. Almost all of my videos up to now have been recorded at home with my Desktop’s webcam. After that idiot troll got me worked up in April and during the week of the Marathon Bombing at that, I have been more conscientious of what I put on You Tube.